Representative Countries from the Continent of Africa include many nations. Some are featured with their own pages, others on this page. Over 400 known language/ethnic groups populate this huge continent. 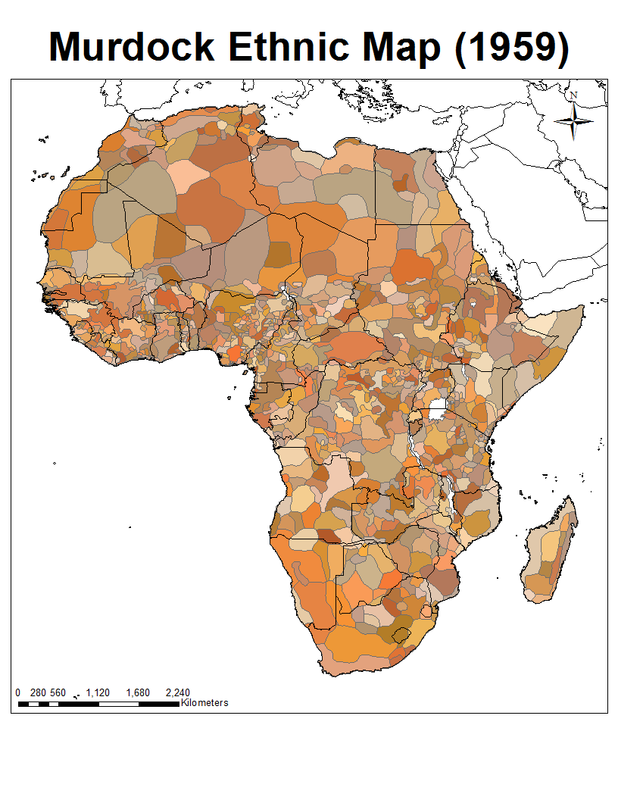 AFRICA MAP By Global Human Dynamics. Go to this site and then click on the map. When downloaded, click again on any area of interest and it will enlarge. Map made by George Peter Murdock in 1955 to attribute the ethnic/language/tribal makeup of Africa prior to the 1885 partitions. It was published in a color-coded edition by Robyn’s Anthropological Consulting Co. and is currently apparently out of print. In VOX colonial divisions in Africa and other places discussed, 15 Nov. 2010, Extensive cultural and political maps. Ethiopians have been the most heavily represented group from Africa admitted to the United States between 1982 and 1994. Only Somalis have exceeded Ethiopians in the numbers of African immigrants arriving in the United States after 1994. Sierra Leon: Immigrants from this country have come from many situations, many as refugees. Chad: Arriving from many situations, many have been affected by the Sudanese wars, especially in the Darfur region. Asa Yoruba Cultural Center at (260) 710-3310 .